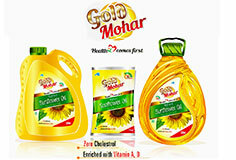 Vanaspati Oil can be any refined edible vegetable oil or oils, subjected to a process of hydrogenation in any form. 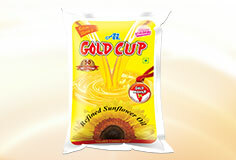 Prepared by hydrogenation from groundnut oil, cottonseed oil and sesame oil or mixtures thereof or any other harmless vegetable oils, Vanaspati Oil does not contain any harmful coloring, flavoring or any other matter deleterious to health. 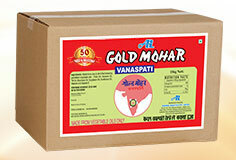 Much sought after, Vanaspati Oil is regarded as the best Oil for direct human consumption. 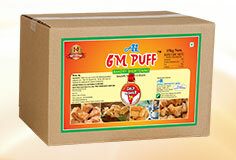 Enriched with Vitamins, it is the best cooking oil for frying that helps in maintaining the quality of fried products. 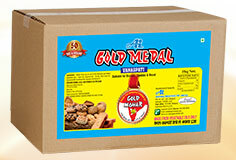 Agarwal Industries Ltd range of Vanaspati Oil under brand names of Gold Coin and Gold Cup, are hygienically processed and packed as per the international standards, in keeping with their reputation as one of the leading Vanaspati Oil Manufacturers in Andhra Pradesh. 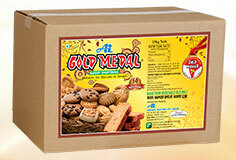 Agarwal Industries Ltd, one of the leading Vanaspati Oil Manufacturers in Andhra Pradesh. 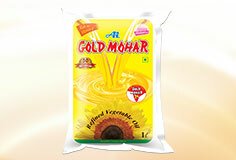 Recognized as the most preferred and leading brand in South India,Vanaspati or hydrogenated vegetable oil is generally for industrial purposes, bakers and confectioners. 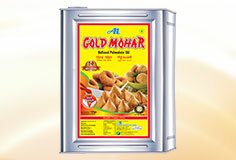 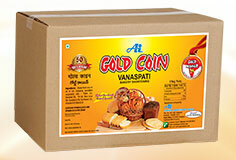 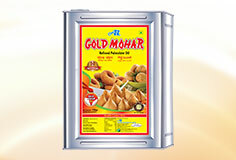 Gold Coin Vanaspati Oil is another extremely popular brand from Agarwal Industries Ltd, It can use meant for industrial uses and is generally the preferred brand of all South Indian biscuit manufacturers. 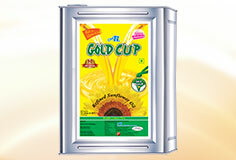 Finally, there is another popular brand, Gold Cup Vanaspati Oil, specially produced for domestic purposes.